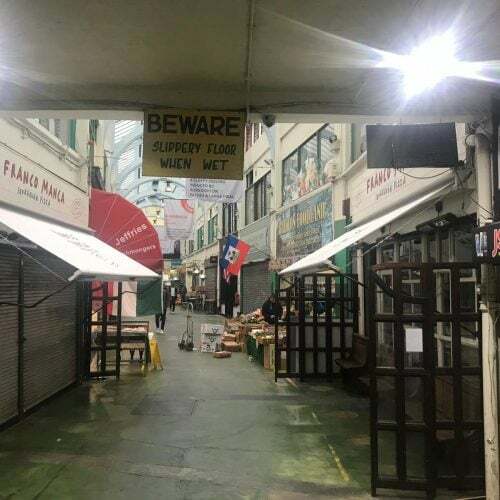 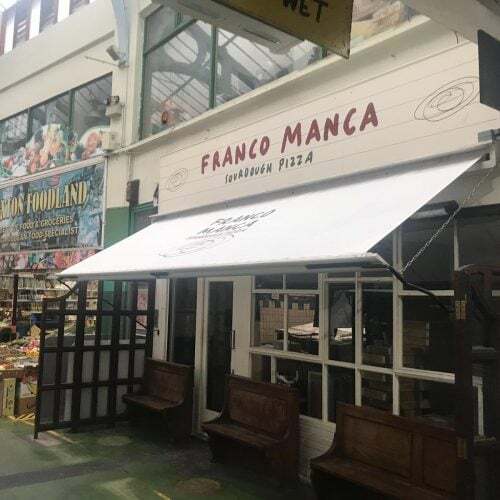 The original Franco Manca restaurant in Brixton Market, South London. 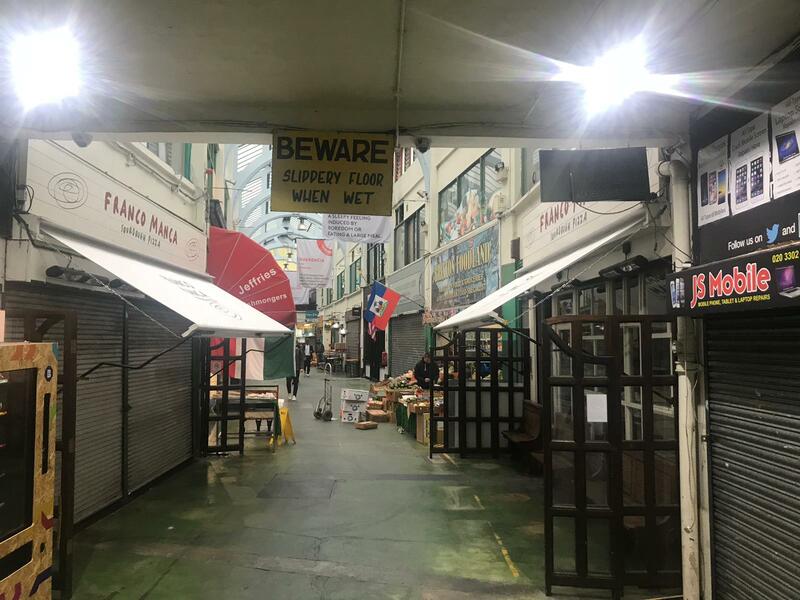 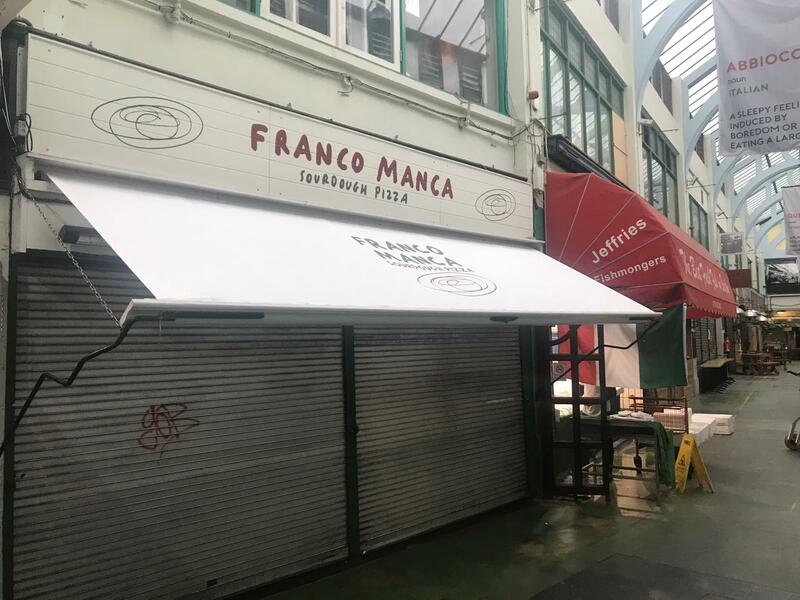 We recovered these 2 Victorian Awnings early in the morning before the busy market opened. 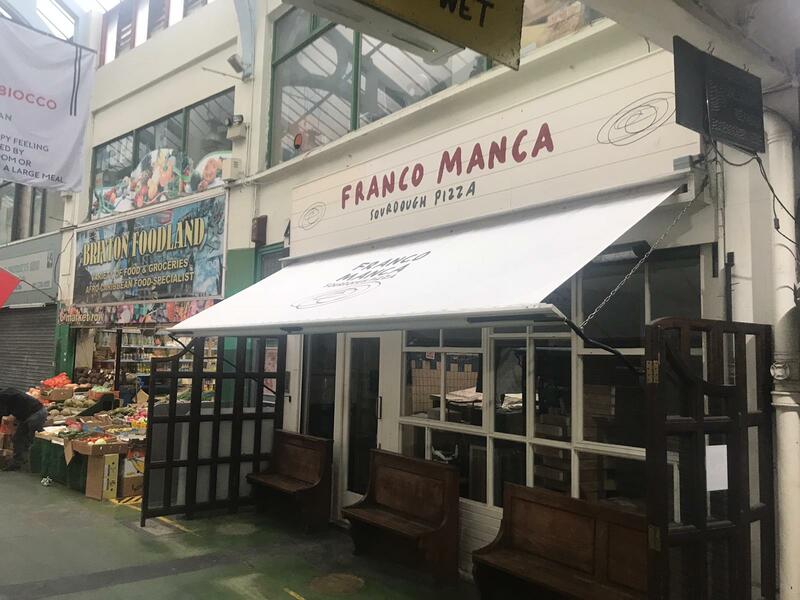 Awnings are a great way of marketing and Franco Manca have a very distinct look. 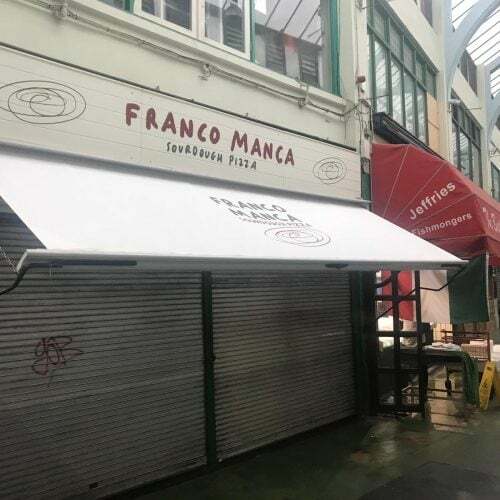 Get in touch today if you have a Victorian Awning that could do with a make over.